Apple updated its Apple Pay participating issuers list today with 95 additional banks, credit unions and financial institutions supporting the contactless payment service in the United States. Apple Pay now has over 750 participating issuers nationwide, and several more plan to support the NFC-based mobile payment service in the future. Apple also added Apple Pay support for two larger financial institutions Tesco Bank and TSB in the United Kingdom. 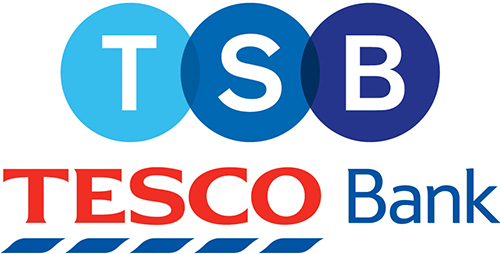 Tesco Bank, which began emailing customers about incoming Apple Pay support earlier this week, currently supports Apple Pay for its MasterCard credit cards, while TSB supports debit cards and MasterCard and AMEX credit cards. H&R Block, a large tax planning, preparation, and filing company, highlights the complete list of new Apple Pay participating U.S. issuers. As a disclaimer, some smaller banks, credit unions and financial institutions listed may have already had support for the contactless payments service and are only now being reflected on Apple's website. The full list of new Apple Pay participating issuers in the U.S. is ahead. Apple Pay launched in Canada today for American Express customers, with Australia to follow later this week. Apple is also partnering with American Express to bring Apple Pay to Spain, Singapore and Hong Kong next year. I think that the dam is breaking. I know that they got the big ones early on, but now the updates have 40+ US banks at each one. TSB also paying out 5% cashback for using Apple Pay on their credit cards. "Get 5% cashback on your first £100 of Apple Pay spend each month using your existing TSB MasterCard or AMEX credit card, until December 2016 (subject to eligibility)"
Just waiting for the Tesco stores (excluding a few in London) to support NFC payments. agree, just thinking the same, how ironic it is Tesco Bank now support apple pay. But like you say outside of London and its pretty much not offered in store. (same for Tesco owed 'One Stop' stores). This is especially true for credit unions: they outsource credit cards to a partner. Once the partner supports Apple Pay, all of their partners will be able to do so. P.S. Weren't US retailers supposed to support Chip [and PIN] by this October (at least the Chip part!) or else assume a bunch of liability? What ever happened with that? I don't think I saw single store, small or large, gain new terminals this fall. Retailers don't need to "support Apple Pay" specifically, they just need modern terminals! I though Chip [and PIN] would cause a wave of upgrades, and NFC (including Apple Pay) would come along for the ride. Did the deadline extend again, or something? No, it wasn't extended. The merchants are assuming liability for fraudulent use. I'm starting to see more chip readers in use: my local Lowe's store just started requiring me to insert my card, even though they have had the terminals for months. I'm seeing this in a lot of places: even though they HAVE terminals with chip readers, they aren't necessarily using them. Other merchants have point-of-sale systems with an integrated mag-stripe reader, and I think they were caught napping. They can't just easily swap out a terminal. It may even be a supplier problem: they can't get an updated terminal because they can't be manufactured quickly. Square doesn't yet ship an EMV chip reader, but you can reserve one now. If you do so, you can use their mag-stripe reader, and Square will cover liability for any fraud. But, you have to reserve their EMV chip reader to get that protection. No, the liability shift is to the merchant -- not to you. Your agreement with the credit card issue has not changed. btw: All the Tesco Express/Metro's around here (London) seem to take contactless, so I don't think it's just a few. It's more expensive to replace the equipment across the organization than it is to eat the charge backs. So it's an expense they're planning for in 2017 or so. Plans change, of course, but I imagine a lot of large organizations are facing a similar decision. It kills me seeing the grayed out contactless button every time I use self service.